Foyers are interesting spaces! They can intimidate or make guests feel welcome. Here is how to help move your guests from fear to comfortable! 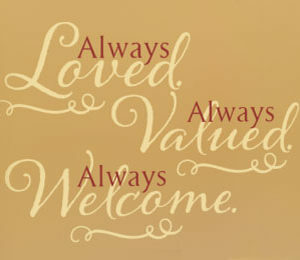 ‘Always valued. Always welcome. Always loved’ wall letters look amazing in this foyer. Notice how they tie in to the barrister, curtain and everything else in the room. Now that is style! They tie in with the eye catching flower display and lampshade on a most unusual table. They are a wonderful sight for a weary guest! The wall letters in this entryway come in different colors, styles and sizes. They will fit in any wall space and certainly hold their own in any foyer! They will be the focal point in the room. Strong light can be an issue when you apply wall words near them. That is why we apply matte on our wall quotes so that you do not have a glare problem when you read them! 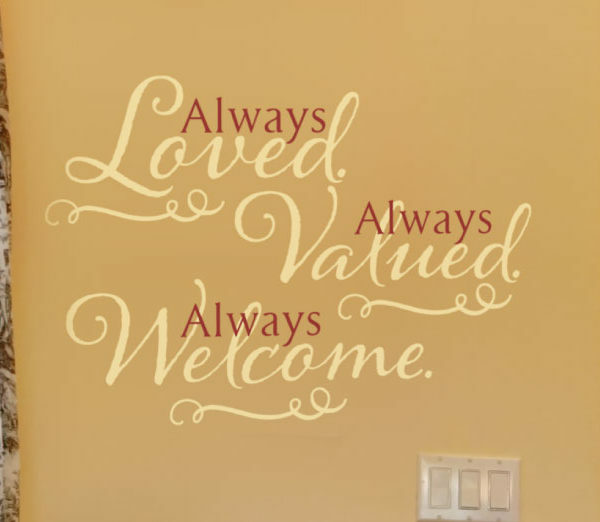 Purchasing our wall lettering is very easy! To place your order on our user friendly website select a quote from our library. You may also submit a favorite one that we do not have. Our designers will work with either! Use the previewer to confirm that you have selected the right color, style and size for your wall space. Submit and we will do the rest! 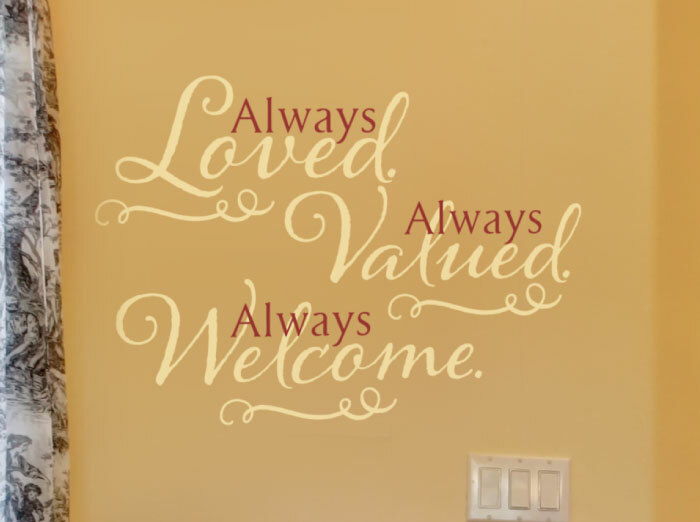 Our wall decals are durable. Made from resin, they are resistant to extreme heat and cold. You shall be able to enjoy them all year round! Do get in touch!